Welcome to Drill of the Week, a new series on ACTIVEkids.com that will explain individual and team drills for parents and coaches to help kids improve at the sports they love. This week's drill is Crab Grab, a baseball fielding exercise brought to you by TheDrillbook.com. Crab Grab is a controlled fielding drill that allows players to work on the proper fielding position, soft hands, and conditioning for their legs. Players pair up and face each other about eight to nine feet apart without their gloves. Both players get into a proper fielding position for catching a ground ball. Both players will stay in this stance for the duration of the drill. The first player starts with the ball and rolls it at the second player's backhand. The second player catches the ball with the "glove" hand, exchanges the ball to the throwing hand, and rolls the ball back to the first player's backhand. The pace of the ground ball should start off slowly and build as the players get more comfortable with the drill. 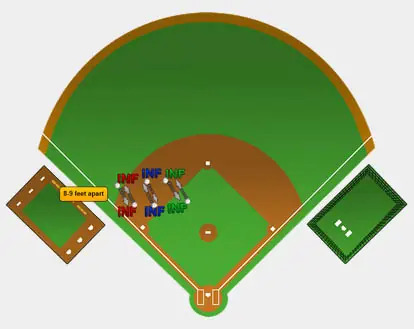 To add some competition to the drill, "knock out" the first player to miss a ball, or have the fielders play until one player misses three balls. Conditioning: This is an excellent exercise for building leg strength for infielders. This drill forces the player to stay low in the fielding position for an extended period of time while working the hamstrings and quadriceps muscles. Fielding Position: Make sure the players begin in the proper fielding position with feet spread wider than their shoulders, knees bent, and rear-ends low to the ground. Fielding should be done with the head over the knee, catching the ball mostly in the fingers like a pair of tweezers. It's crucial to catch the backhand ball in the fingertips, which will translate to the web of the glove. Catching the ball in the palm of the hand during this drill is a potential indicator of hard hands. 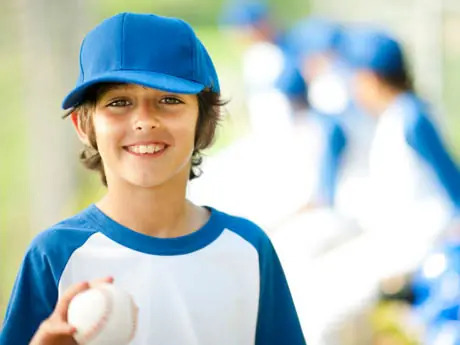 Find baseball camps for your ACTIVEkids. For a visual demonstration of the Crab Grab drill, watch the video below or click here . TheDrillBook is a revolutionary new platform and mobile app that provides multiple sport player development via fun and engaging games/drills/activities for your child to master critical sports skills and tactics. Additionally as a Parent/Coach you will find robust content on how to teach each sport and valuable modules on nutrition, safety, equipment, leadership development and more. Complete Team Management/Communication, Scheduling and Practice Modules come into play when your child uses TheDrillBook as part of an organized sports team.